While it definitely isn’t new, many people are just learning about the benefits associated with activated charcoal. It has been used for many years in hospitals as a method for treating alcohol poisoning and drug overdoses. Now, it is creeping up in health food stores, vitamin aisles, and even beauty products. It can remove toxins and poison from the body from the inside out, but activated charcoal can also be very purifying for the skin. This is a great way to remove dirt, oil and other toxins from the skin, before it can clog pores, and cause breakouts. Think of it as a natural purification product that can assist with detoxing your body in many different ways, depending on how you want to use it in your daily life. Activated charcoal is slightly different than regular charcoal. In order to be considered ‘activated’, the charcoal must be heated to a high temperature. This will increase its ability to absorb. When used in the body, it will attach itself to toxins and absorb them prior to them hitting the blood stream. The same concept works within beauty products. Before toxins, dirt, and oil can wreak havoc on your skin, the charcoal will remove these things. When you wash and rinse your skin like normal, the unwanted gunk will go down the drain as well. Activated charcoal can be used within a beauty product that you purchase, or you can make your own products. 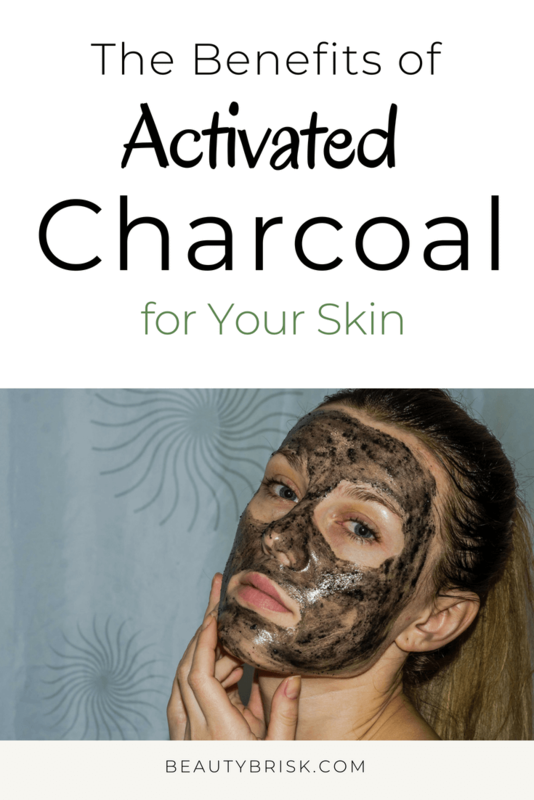 Whichever method you use, the activated charcoal will help draw out any chemicals, impurities, dirt, oil and bacteria that is on the surface of the skin, and within your pores. When you wash away the product, you are left with healthier, and cleaner skin. This process assists with acne prone skin, discolorations, excessive oil, and much more. Because activated charcoal cannot be absorbed by the body, you can trust that this method of cleansing and treating your skin is safe, not to mention effective. Throughout the day, or skin comes into contact with many different harmful substances. To fight these concerns, more and more beauty product companies are adding activated charcoal to their face washes, exfoliators, body washes, scrubs, and more. You simply mix all of these ingredients together, and apply it to the skin. Leave it on for about ten minutes, and then wash away using cool water, and your face wash if you have it available to you. This method is really beneficial because not only will you be giving your skin a deep clean, you are avoiding some of the harsh chemicals and additives that can be found in many beauty products these days. A lot of beauty products are designed to look pretty and fun when you are using them. It might seem a bit unusual to use a dark, black product on your hair and skin. When used in a safe manner, as directed, activated charcoal is being used internally as well as on the skin. It can whiten teeth, it can get rid of residue on your hair, and it can control breakouts. While it might seem odd to scrub away using a black, gritty powder, it is beneficial in the long run. As we go throughout the day, our pores can easily become clogged. Whether it be because of air pollution, oily skin, makeup or hormones, keeping clear skin all the time can be quite a challenge. You can apply activated charcoal as a face mask. This will allow dirt and impurities to bind to the charcoal. Some of these masks require you to peel them off once they have dried. Others can be washed away with water and a washcloth. Typically, activated charcoal is pretty thick, and it will take a little bit of effort to wash it off. Fear not, it will all come off with a little effort. charcoal products more than once or twice per week. While it won’t damage your skin necessarily, it definitely will dry it out. There are many different reasons that you might be experiencing skin irritation. Maybe you had bug bite you. A bee sting can be quite irritating even long after the stinger has been removed. A small paper cut can easily become infected or irritated, as can a brush burn, or cut. For something minor that doesn’t require any kind of medical attention, you can use activated charcoal as a paste. When applied, it can even absorb leftover venom or infection in the cut or scrape. Simply add a little bit of water to a good quality activated charcoal powder, until it can be easily spread. Activated charcoal doesn’t have to simply be used for your face or body. You can apply it to your hair as well. Your hair sees a lot of daily abuse as well, from styling products, heat, shampoo, etc. Activated charcoal will remove a build up of pollution, and products. There are beauty products that you can find in your local grocery store, or beauty supply store. You can also make your own product using activated charcoal and water. Make a thin paste, and apply it to your hair. You will want to leave it on for about five to ten minutes. Then rinse, and follow up with a hydrating shampoo. Dry, charcoal shampoos are also available. These can be very convenient an they require no use of water. You simply spray it on, let it dry for a few minutes, and then you can style your hair as normal. Many people suffer from scalp conditions to some degree. Dandruff is extremely common, and if you aren’t away, it causes dry, flaky skin on your scalp to come off. This is an unwanted condition, as it usually leaves behind white spots on your hair and shoulders. You can get rid of dandruff, an oily scalp, itchy scalp and redness by using an activated charcoal scalp treatment. Before you shampoo, apply a high quality charcoal product to your hair, and let sit for the recommended length of time. You can then rinse it out, and use shampoo and conditioner as usually. Your hair will look healthier than ever. The activated charcoal will actually purify the hair follicles, and clean them well. Added volume is usually noticed by people as well. Dirty, grimy hair with a residue will be weighed down and can become very limp. Many people experience acne at some point in their life. Young teens experience acne during puberty and for a number of years after. Women tend to experience acne as part of their monthly menstrual cycle. Pregnancy can flare up a case of acne, and some people are unfortunate enough to experience acne for a large portion of their adult life. There are prescription, and non-prescription products that can be used to clear up acne. It can also be prevented using these products. Unfortunately, many of these products can lead to red, dry and irritated skin. Treating acne from a more natural, and holistic perspective can be very beneficial for the skin. It is safe to use on all skin types. Very rarely will an allergic reaction occur. If any kind of rash appears, swelling, or trouble breathing presents itself, medical attention is necessary. The product should be discontinued as well. Depending on what you want to use activated charcoal for, there is likely a product on the market that will make your life easier. You simply apply as directed, and within ten minutes or so, you will have healthier, and cleaner skin and hair. If you can’t find a product that you think you will be happy with, simply make your own using activated charcoal powder. You can find this product at many different health food stores in your area, grocery stores, and from online distributors and companies as well. It is important to mention that, activated charcoal is very affordable. Make sure you purchase activated charcoal that is from a reputable company. The more pure the product is, and the more potent it is, the better the results will be from using it.